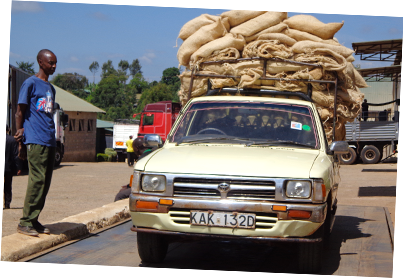 Every day, the coffee we purchase and transform is transported to customers from factories and distribution centres. We deliver our products via a network of road, rail and sea transportation to an increasingly urbanised population. For NESCAFÉ® Dolce Gusto® capsules, transportation is responsible of 9% of the coffee cup GHG emissions (10% of non-renewable energy and 1% of water used). Ensure the most efficient use of our transport, thereby reducing the distances travelled, minimising our greenhouse gas (GHG) emissions and reducing noise and congestion impacts. We explore opportunities to further improve transportation means, for example by using sea and rail instead of road. In 2013, Nestlé Germany transported NESCAFÉ® Dolce Gusto® capsules coffee from Girona to Germany, with 58 shipments in seven months. The CO2 emitted when using combined (rail and road) transports is four times lower compared to transports by road only. In the example above, a saving of 42 tones of CO2 was achieved, by means of combined rail and road transports. It is expected that as of 2014, each capsule produced and dispatched from the new factory in Germany will save more than 20% CO2 emissions on transportation against current setup.